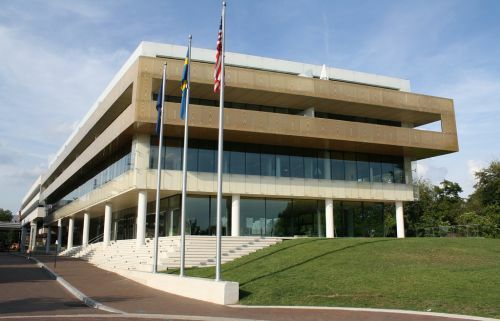 A striking, award-winning modern building (2006), currently home to the Swedish Embassy. A striking, award-winning modern building (2006), currently home to the Swedish Embassy. Bills itself as the 'crown jewel of the Swedish presence in the U.S.,' hosting a large exhibition space open to the public and devoted principally to current international issues dear to the Swedes.